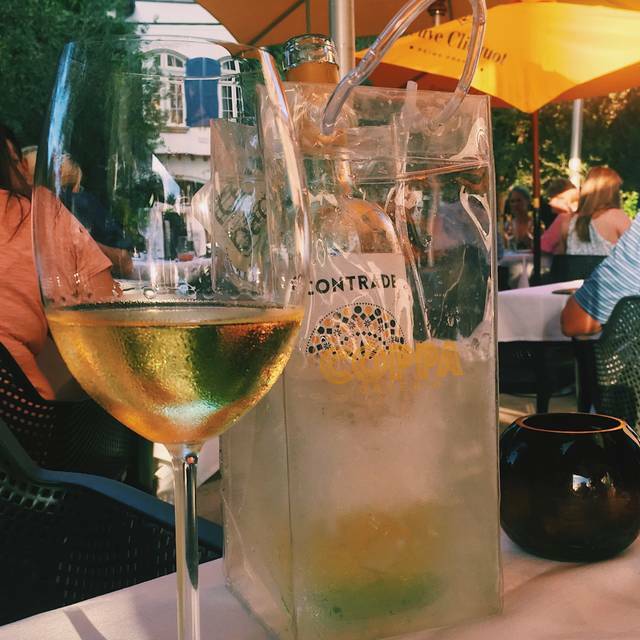 You must make reservations at least 5 minutes in advance of the time at Coppa Osteria. 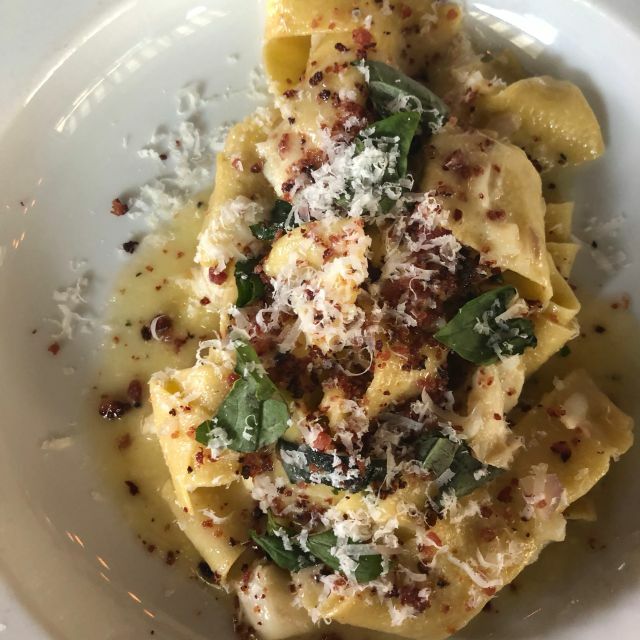 Coppa Osteria is located on the ground level of the Hanover building at 5210 Morningside, nestled between the South Hampton and West University neighborhoods. The restaurant is easily accessible by foot or drive on over, valet is available at a $6 charge. Coppa Osteria offers lunch and dinner service 7 days a week, a full service bar with NFL ticket and a patio perfect for outside dining. Always outstanding. Nickolaus (spelling?) our waiter, did an excellent job and delivered very personal and professional service. Patio is always nice on a warm evening. Our waiter was new as was the desk hostess, hence the lower score for service. As always ambiance and food were outstanding. Weather cooperated for pleasant dining outdoors. Never disappointed dining at Coppa. Everything was delicious! Enjoy every time that we visit. During nice weather, we enjoy sitting outside. Our bill came overcharged $90. Sorta impacted the whole evening. I have to say first that service is excellent. However, you can live without tasting this food and be okay. Overall is way overpriced. No need to go try it out. The meatballs and shrimp scampi appetizers never fail! Good wine list too. Our server was helpful, pleasant and professional. The food was perfectly cooked and delicious. This is a perfect place to have dinner with friends, or for a date night. Best carbonara pasta ever! This is our second visit and will certainly not be the last! Good experience. Sat outside and had great food. One of our favorite neighborhood dining spots. Great atmosphere, great food, great wine....good time had by all. We grabbed dinner on Thursday and had a great meal. The Farro and Lentil Salad is amazing as was the Shrimp Linguine! The Tuna Tartarre was also a great find. And, our server was exceptional! Great place for a family celebration. Great place for a date night! Food, ambience, service are amazing!!! Food is always good! One of our family favorites. Pasta is fresh and you can taste it! Food is cooked to perfection and the wine list is fabulous. Enjoyed a marvelous supper at Coppa. 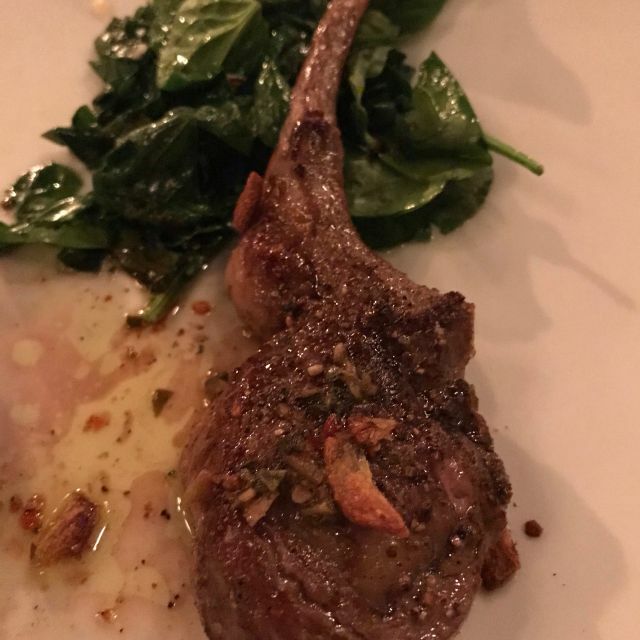 It was late, so we shared a meal - the lamb chops with sautéed spinach was PERFECT. Service was attentive but not overbearing. S great choice in Rice Village! GREAT FOOD. OUTSTANDING WINE LIST AT A REASONABLE PRICES. The best gluten free pasta!!! The chef always does a great job. Love this restaurant. O is an incredible bartender we have experience as bartender several occasions and he was our server for table of 5...awesome!! Amazing meal in a gorgeous setting. Was able to sit outside for dinner and enjoy the lovely patio area. Wait staff was very nice and super helpful in guiding us on best choices to order. Will definitely be back! Great experience. Our server, Rafael, was amazing. He was nice, attentive and knowledgeable! The food was fantastic as well. We started off with a caesar salad, moved on to these wonderful mozzarella sticks and then finally ordered the spaghetti carbonara which was phenomenal! We will definitely be back! Great service & delicious meal ! Great service, tasty food, well presented. I thought the kale salad and chickpeas appetizers were better than the fish and cauliflower and Brussels sprouts main course. But overall, the food was quite good. Came to Coppa two days in a row for lunch. Enjoyed our waiter so much that we asked for him again. Superb and confident service. A pleasant and helpful young man. Sure is someone Coppa can be proud of. He knew the menu and wine list well! Thanks so much for a great dining experience! The good is wonderful at Coppa as are the wines! Our experience was enhanced because of the skill and competence of our waiter, Nico. He was very efficient and attentive. I have been many times to Coppa, but I find the best server by far is Nico. He is a real asset to the restaurant. We made our reservación atención 7:30 pm considering traffic, arribe atención 7:00 no problem for anticipation, Made party of 5, arrived 6 and a child, Well attended, excellent service, dije just perfect, and the cuisine wonderful! We enjoy our great moment atención Coppa Osteria. Congratulations! Coppa never disappoints. The service, food, atmosphere are all awesome. It’s one of our fave places to dine in Houston. Always a wonderful experience. 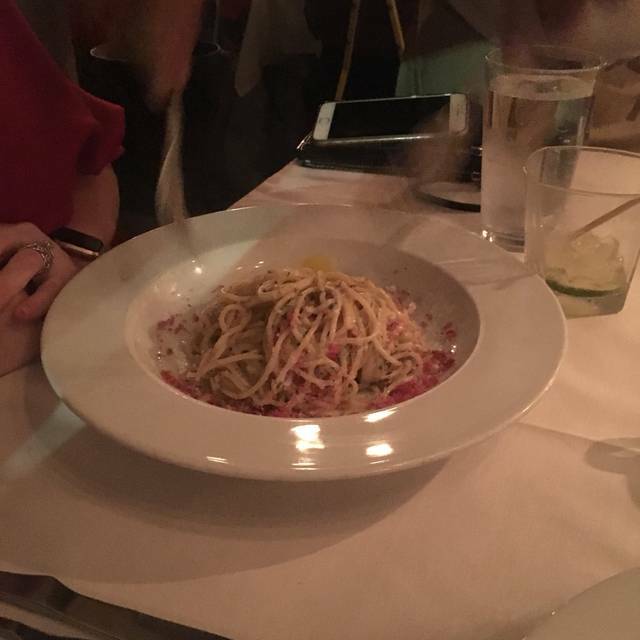 We love their fresh in-house pastas. They didn’t disappoint. 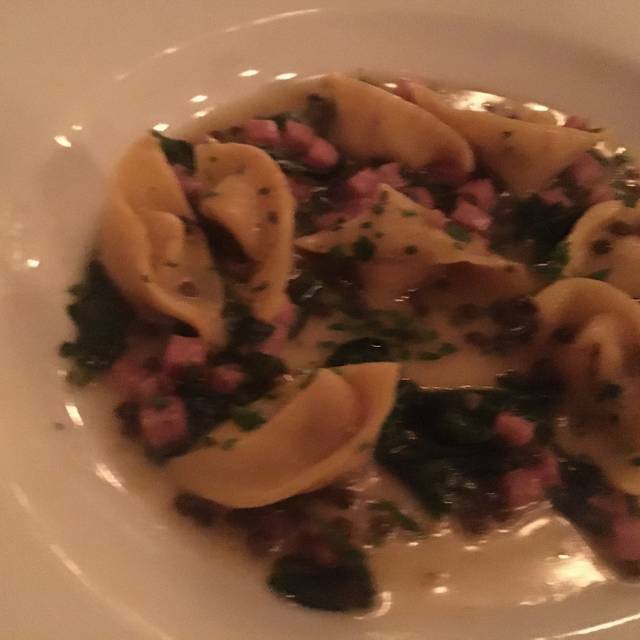 Pasta Carbonara and mortadella filled tortellini were wonderful. Affagato and zeppoli for desert. Service was good. People watching was fun. Packed house. Place was cool. It was just my wife and I for the-day-after-Valentine’s, and I didn’t really like passing all that open seating just be sat in the back by the wine cabinets. It would’ve been different if we’d had our 7-year-old with us. But hey, I’m not a big complainant. I don’t make big stinks when I don’t get exactly what I want, but maybe I should have in this case. Besides that, the experience was ok. It’s a nice restaurant, and I would like to give it a second chance. I’ll likely be more vocal the next time, especially if that situation repeats itself. 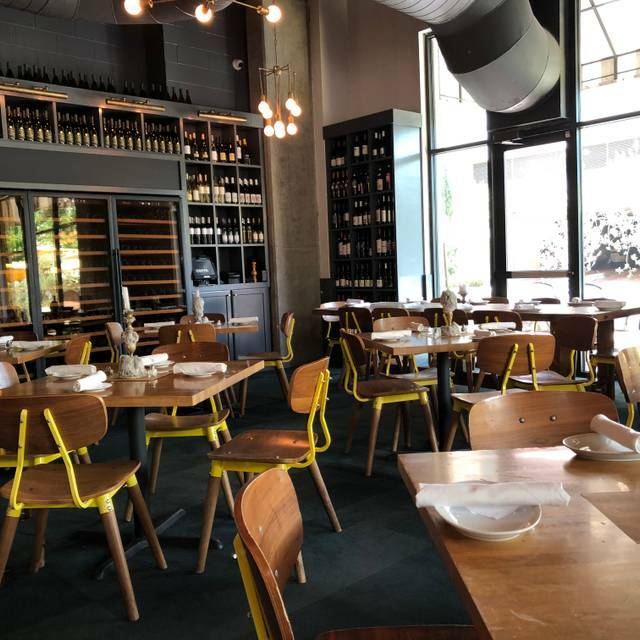 Coppa Osteria is one of the best and most consistent restaurants in Houston. 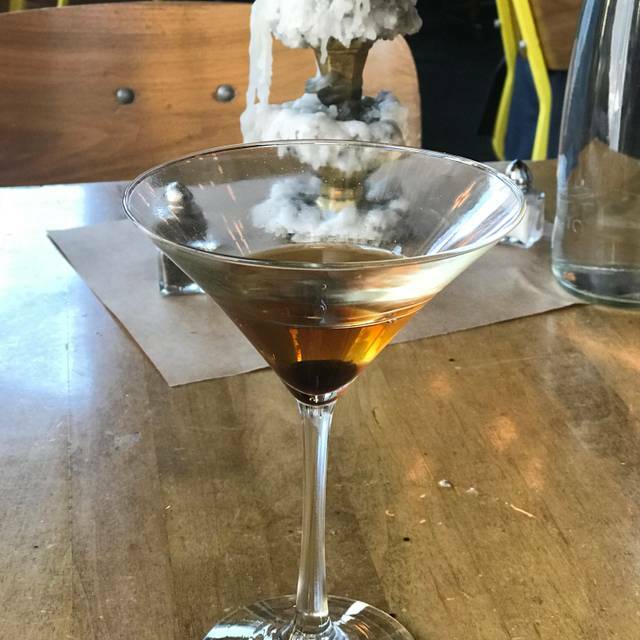 They serve fresh, flavorful food and have a great selection of wines and cocktails. It is our go to family restaurant. Frito misto was very good starter. The octopus special with very thick spaghetti, mussels and crushed tomato sauce was very tender and the spaghetti carbonara very rich. Enjoyed our meal and cocktails. Food was delicious! Nelson took excellent care of us as always, and we had an amazing time! Thank you!! I have a few constant critisims of Coppa. In general the food is very good. The service is not so great. Servers frequently don't ask or bring the customer what's needed nor what I've asked for. Things like bread, butter, parmasean cheese, craked red pepper, ANOTHER GLASS OF WINE, cream for coffee, sweetner for ice tea...simple items that should be standard for ANY server in the business. You order coffee, bring sweetner and cream! You order ice tea, bring sweetner. Wine class is empty, "would you care for another Malbec"? and... if I order one, actually bring it to me! In addition, there is one waiter in particular that has the worst body oder. Sorry, it's winter and great weather...please come to work clean. It matters to the customer having a nice dinner. Again, the ambiance is amazing, especially the patio dinning and the food it wonderful.